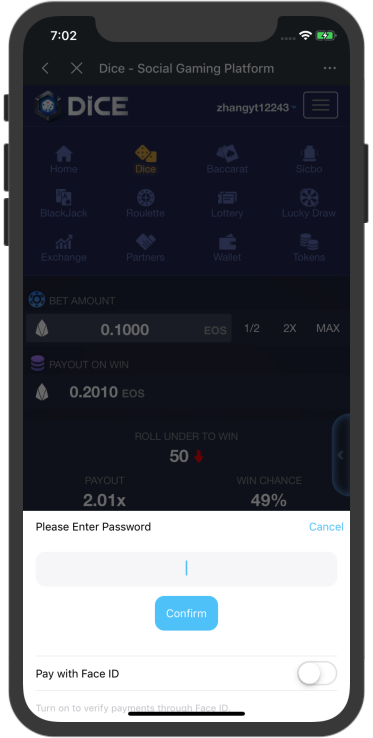 Password-free payment means you do not need to enter password when make a payment in Math Wallet. 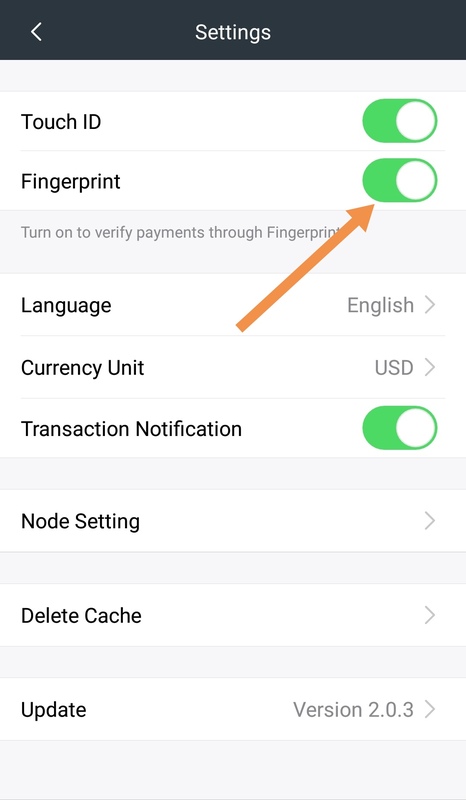 The payment could be confirmed by Fingerprint or Face ID. When you make a payment next time, the password will not be required. 4. 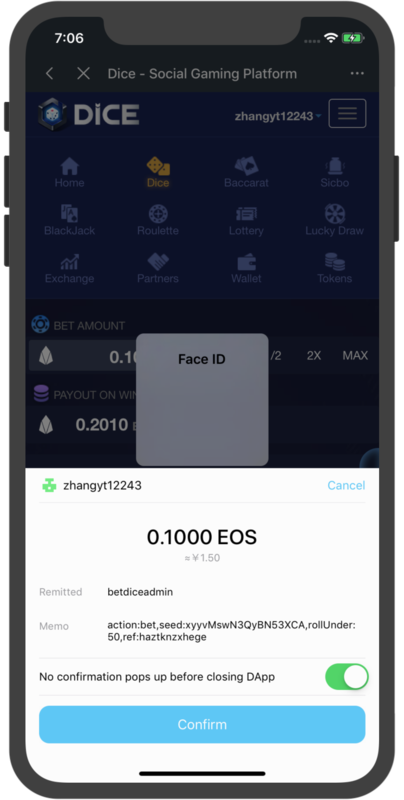 Open【No confirmation pops up before closing DApp】, not confirmation will be required when make payments.